You might not think that trust is important when it comes to kung fu, after all, the point of kung fu is to fight, intimidate, trick and overpower your opponent. Like many martial arts, kung fu has a heavy focus on being able to defend and attack, so where does trust come in? I know, I get your point. But believe it or not, I think a huge part of kung fu is about being able to trust. And the way I see it, there are four types of trust: trust in your partner, trust in your teacher, trust in your opponent and trust in yourself. Many of the forms I’ve been learning in kung fu have me paired with a partner. Pairing with a new partner is always awkward at first, especially when you don’t really know the other person. There are some forms that I’m so used to performing with certain people, that sometimes, I’m thrown out of whack when I’m expected to do the form with someone different. Everyone has their little quirks. Some people might hit higher than others, or someone might add a little distance for certain forms. But part of doing a form together is learning to work together. No matter what though, you must learn to trust each other. I’m always a little nervous and uncertain when I perform a form with someone new. After all, everyone does the form differently. But the best thing that I can do is trust that they won’t throw extra movements and that they know the part. Within the first few moves, I can usually get a sense of where my opponent stands. Are they more practised than I am or less? A more practised partner can usually adapt to my speed and strength and can work with me by following my movement. A less practised partner may need me to guide them by allowing them to lead the pace and the force. It’s important that when you are doing a form with someone that you understand each other’s strength. I have been lucky that most of my more practised partner’s are able to tell how much they can push me to help me improve without going overboard. I like to think that I am able to do the same with my less practised partners. No one wants to be injured or cause injury, and in a sport that can be intensive and sometimes dangerous, it’s important that partners understand each other and are able to adapt to each other’s strengths and weaknesses. This one seems like common sense, but sometimes it’s hard to believe when Sifu Dan tries to push me to get closer to the ground when stretching. At this point, I don’t think I’m getting any closer to being able to do the splits. Becoming a teacher has a lot of responsibility. 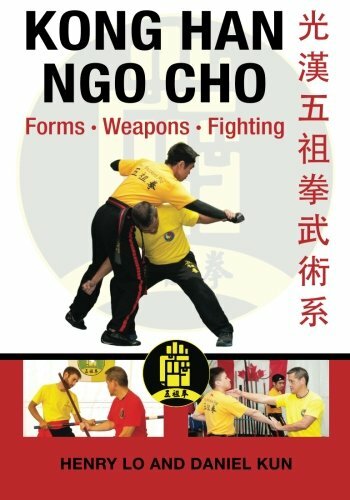 Sifu Dan began teaching in order to pass on the Ngo Cho Kun style to his disciples and to share his passion for kung fu. As his student, I know that Sifu Dan will never push me harder than what I can handle. Some of the exercises are quite hard, but I know that Sifu would never ask me do anything that he doesn’t think I can handle. He’s also very good at recognizing when I’m pushing myself too hard. In that case, he will tell me to go slowly and get the movement correctly instead of trying to knock down Bob (our punching bag) with shear force. It’s easy to fall into the clutches of doubt, especially when it feels like you aren’t improving. There are sometimes when I feel like I haven’t progressed at all despite training for about six months. Sifu Dan is always the first one to tell me that it takes time and that you have to continuously practise the movements. Any sifu will want to help their students grow. Yes, I did just write that. How can you trust someone who wants to fight against you, you might ask? Good question. This is an interesting one because you wouldn’t think that you should trust your opponent in a fight. The truth is, fighting is dangerous and people can get hurt. You need to face the facts that chances are your opponent wants to win and to do that, they might have to hurt you. Depending on what level you are fighting at, you have to trust that your opponent will follow the rules and won’t surprise you with any illegal moves. It’s important to be aware that not everyone will play by the rules. There are some people that might want to win badly enough that they may become dangerous. So really this point is about knowing who to trust and always trust that you can’t trust your opponent. This is the most important stage of trust. You need to have faith in yourself and your own abilities. So you’ve trained for a long time and you’re about to compete, but suddenly a wave of nerves hits you. Butterflies are dancing in your stomach, your focus is gone and you’re suddenly overcome with the feeling of self-doubt. Calm down, deep breath and don’t overthink things. You are only as weak as you think. If you know the moves, let your body do the work and don’t stress over the small things. Leave the fighting for when you’re against your opponent and not yourself. Take each step with deliberation and confidence. Trust that you know what to do. Next: Next post: Is Stage Fright Your Cryptonite?